The Arlington County Board voted Monday night to approve the Columbia Pike Neighborhoods Area Plan. The Plan seeks to guide public and private investment in the multi-family residential areas of the Columbia Pike Corridor. In the 1990s, the county embarked on a planning process called the Columbia Pike Initiative to encourage revitalization and build a safer, cleaner, more competitive and vibrant community. 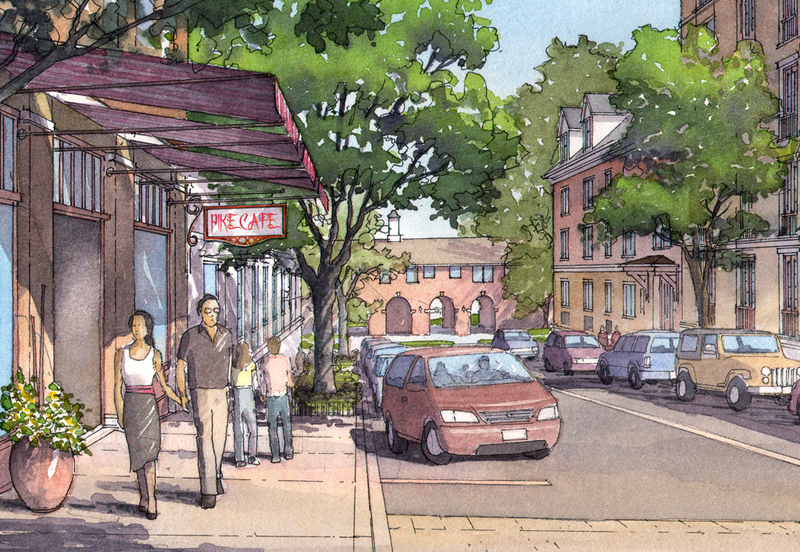 The result of that initial effort was the creation of the Columbia Pike Form-Based Code which facilitated new pedestrian-friendly, mixed-use development in the commercial nodes of the corridor. The Columbia Pike Neighborhoods Area Plan is the final phase of the Columbia Pike Initiative, and focuses on the residential areas between the commercial nodes of the Columbia Pike corridor. The Plan seeks to balance a range of housing affordability, improved forms of building and open spaces, and the preservation of historically significant buildings. The result is a comprehensive vision that promotes new infill development as part of a walkable, transit-oriented community, while ensuring the continued availability of affordable housing. The Plan also sets the stage for a new streetcar which was also approved at Monday night’s meeting. The streetcar will run along a 5-mile stretch of the Columbia Pike corridor, connecting Bailey’s Crossroads with Pentagon City.